In my last entry, I discussed the potential for carry over between lifting odd objects and free weights. The article was intended for those who’ve asked whether the strength derived from odd object training translates to strength gains with free weights. Unfortunately, it appears that the terminology used within the article has led to some confusion. With that in mind, I will use this entry to clarify that confusion by providing an example from my own training history. In the original entry, I stated that strength is strength, to an extent. I also stated that I can maintain a moderate level of strength in most lifts as long as I’m regularly challenging myself against maximal resistance. Regrettably, I failed to define what I consider to be a moderate level of strength. In other words, if odd object strength carries over to barbell strength to an extent, the real question is to what extent? It is my hope that the example below will help to clarify. 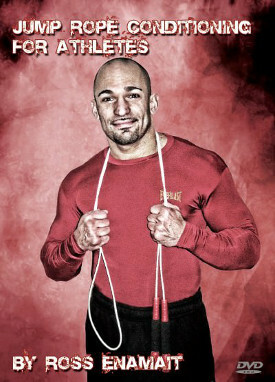 Long time readers of this site may recall the deadlift challenge that I accepted back in 2007. A summarized version is that a reader from my old message board challenged me to lift 400 pounds. The challenge was issued in fun, so I gladly accepted. At the time, I had virtually no deadlifting experience, but ended up pulling 495 pounds. Afterward, many people were surprised that I was able to complete the lift. Personally, I wasn’t the least bit surprised though. In my eyes, I had been developing maximal strength for many years. It just happened that I wasn’t using the deadlift as one of my maximal strength exercises. 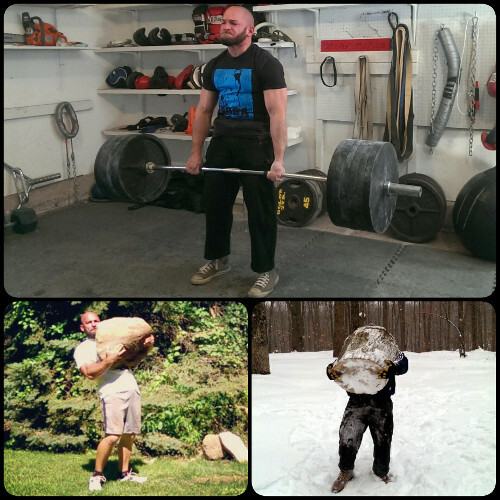 Instead,Â I regularly trained with odd objects, heavy dumbbells, massive tires, isometrics, etc. My focus was more general, but I was still pushing myself to the limit with near maximal loads. Therefore, when I pulled 495 pounds, I considered that to be a moderate load. I had plenty of powerlifting friends who could pull that weight with ease. It wasn’t a walk in the park for me however. At the time, that lift took every ounce of strength I had. Years later, I set my own challenge to deadlift over 600 pounds. I had begun to enjoy the exercise, so I decided to challenge myself with a new goal. Considering that I had already pulled 495 pounds, my goal didn’t seem too far away. Foolishly, I figured I could tackle my new goal with minimal change to my existing routine. It was at that time when I was forced to recognize the importance of specificity. I quickly realized that 600 pounds was much more than 500. I wasn’t going to gain another 100 pounds on the lift unless it became my primary focus. If specificity didn’t take precedence, my deadlift wasn’t going to increase. Thus, the deadlift became my primary maximal strength exercise, followed by several assistance lifts that were included solely to improve my deadlift. Yet, even when the deadlift became my primary focus, it still took longer than I expected to reach my goal. It was definitely a humbling experience, but also one that was incredibly rewarding. I not only learned a lot about myself, but also what is needed to extend beyond moderate levels of strength. Ultimately, there is no substitute for specificity and time. My example above is not specific to odd objects, but there is certainly relevance regarding the potential for carry over between one type of training and another. As stated before, strength from one tool will carry over to an extent. Unfortunately, there isn’t a precise formula that can be applied universally to each individual or tool. Personally, I don’t perceive the lack of a precise formula to be a problem however. In my opinion, you shouldn’t lift odd objects with the goal of improving your barbell lifts (or vice versa). Each tool provides unique benefits so focus on those benefits when lifting whatever you are lifting. In other words, don’t lift a stone to get better at lifting barbells. Lift the odd object to reap the unique benefits associated with lifting that particular object. If there happens to be carry over to another tool, by all means take it, but don’t make that your primary focus. I’ve always enjoyed the challenge associated with odd object training. Lifting heavy, awkward objects develops a different type of strength. I don’t say this to suggest that it is superior to other types of strength. It is certainly unique though. Thus, if you wish to include odd object training within your schedule, be sure that you are realistic about what you are trying to accomplish. To focus solely on whether or not your barbell lifts will improve is to overlook the true benefits of odd object lifting. As an old saying suggests, don’t force a square peg into a round hole. And if you do and it doesn’t fit, don’t blame the peg. @Mike – I don’t have the exact link offhand, but the video is still up on my YouTube channel if you scroll back far enough (youtube.com/rossenamait).